NovPolSol started! 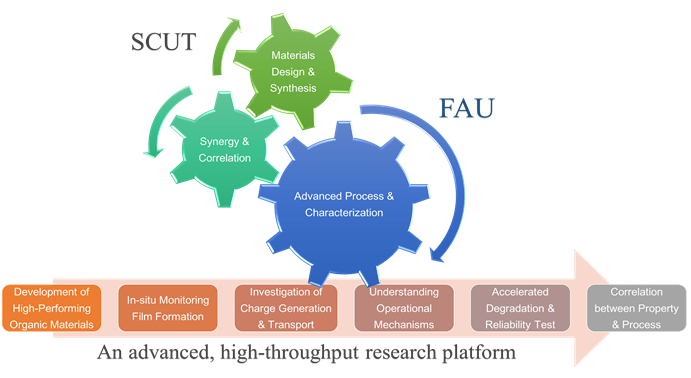 Germany´s DFG and China´s NSFC have recently granted a project between i-MEET (Erlangen) and SCUT (Guangzhou) on the development of novel organic semiconductors and advanced combinatorial characterization methods for high performance, printable polymer solar cells (Akronym “NovPolSol”). Both teams will jointly explore novel combinatorial methods to advance the material science of organic semiconductors with the purpose to further improve the stability and efficiency of organic solar cells.